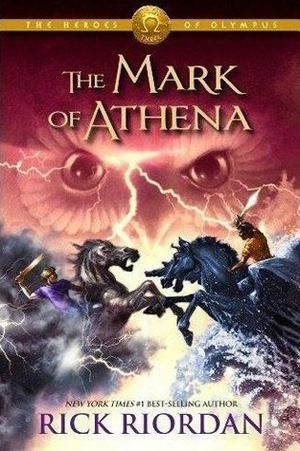 The Mark of Athena is the third book in The Heroes of Olympus Series. First was The Lost Heroes and second book was Son of Neptune. By now readers would know of the Greek gods and their alter ego as the Roman gods and while Percy is the heroic demi-god from Camp Halfblood, Jason is the heroic demi-god from the Roman camp and together with Annabeth, Frank and a few others, they are the seven heroes mentioned in the great prophesy at the ending of Percy Jackson Series. While the Heroes of Olympus offers more variety, the excitement and thrill is still rather lacking compared to the first Percy Jackson Series. In this third book (of a total of 5 books), I can't even say they are halfway through as the civil war among them seems to be more severe than the war against the monsters. I do intend to complete this series but seeing how I am not able to find the following two titles n the local library, I might just be catching a break from this series for the time being.